The eye is filled by a jelly-like substance, the vitreous. As the vitreous ages, strands of a protein called collagen become visible within it. These strands swirl gently when the eye moves, giving rise to the perception of floaters. 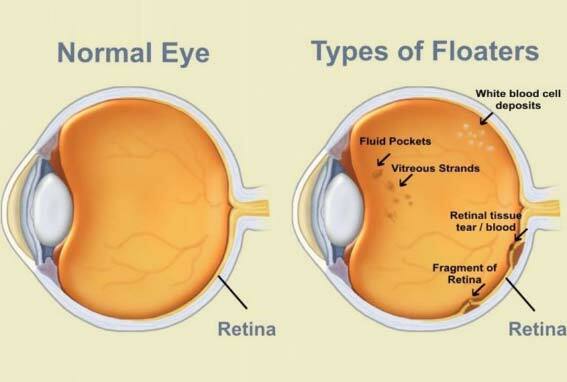 In some people, usually over the age of 40, the vitreous can separate from the retina. When this happens it tugs on the retina, causing the eye to see flashes of bright white light. A sudden increase (shower) of floaters is usually seen at the same time. This is called posterior vitreous detachment and may lead to retinal detachment. 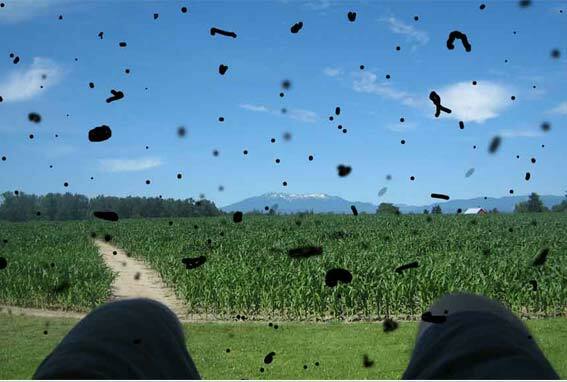 Generally, people should not be concerned about seeing one or two floaters in their vision, particularly if they have been there for some time. A sudden increase in the number of floaters, especially if you also see white flashing lights, is seen with posterior vitreous detachment. If you see this you should make an urgent appointment for an eye examination or go to A&E to ensure you are not getting a retinal detachment.